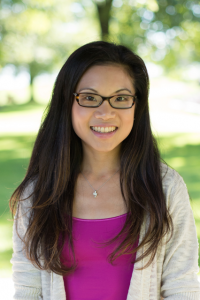 Jenna Wong, PhD, MSc is a post-doctoral research fellow and Pyle Fellowship Awardee in the Department of Population Medicine at Harvard Medical School and Harvard Pilgrim Health Care Institute. She received her MSc in Epidemiology from the University of Ottawa and her PhD in Epidemiology from McGill University. Her research focuses on predictive modelling applications in epidemiology using electronic and linked administrative health data. She has created dynamic risk prediction models for in-hospital mortality, risk indexes for post-discharge outcomes, and machine learning algorithms for antidepressant treatment indications. She is conducting her post-doctoral research in the Therapeutics Research and Infectious Disease Epidemiology (TIDE) group under the mentorship of Dr. Darren Toh, where she is exploring the use of machine learning to extract information from unstructured electronic health data to enhance pharmacoepidemiologic research.